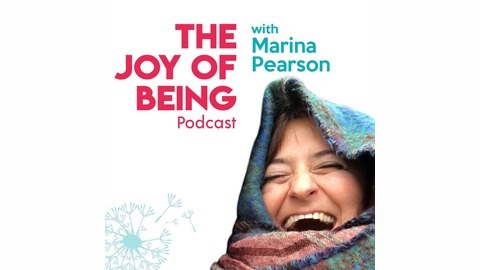 The Joy of Being is a podcast, a community and a new way of life. The podcast was born to transform your overwhelm and stress into insight and joy. If you are a busy working mum or women (in business and beyond) then you are in the right place. Its the vehicle by which you can experience a lighter side to life while not feeling like its only you going through STUFF!Marina Pearson, bestselling author, mum and business owner talks to some of the best transformation professionals, business owners, and creatives about what it really takes to be free from the inside out and have a business and life you can enjoy! (Even the messy bits! 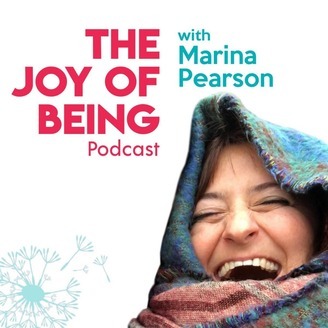 )Topics Marina explores with her guests in the context of how our spiritual nature and humanness inter-relate include finances, relationships, business, identity, health, work/life balance, self-care, time out, creativity and spirituality.To get to the podcast website cut and paste the link marinapearson.com/podcast into your browser. In today’s show, “Episode 53:How to Transform Post Natal Depression into A Gift” Emily Tredget,creator of the Mummy Links app, and successful blogger, joins us to give wisdom to women struggling with Postnatal Depression. We discussed her personal experience with depression, and her expectations of motherhood and how she came to accept her own mental state and is using her experience to help others.